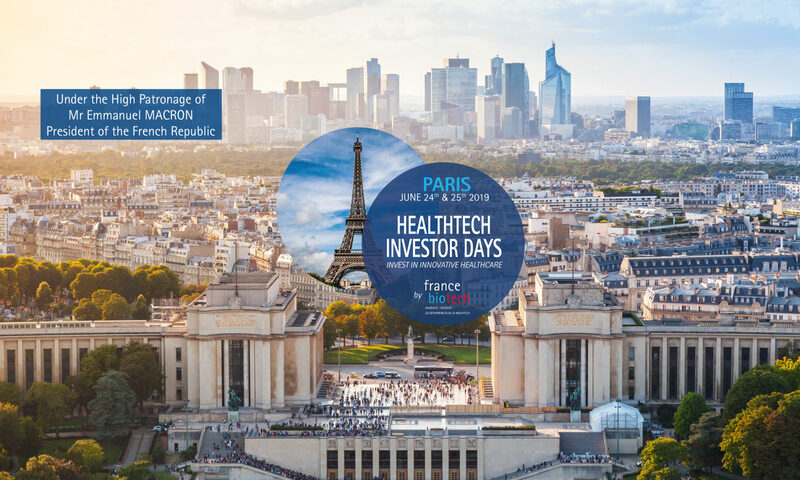 This HealthTech Investor Days, a European Business event, will take place in Paris on June 24th & 25th , under the High Patronage of Mr Emmanuel MACRON President of the French Republic and the support of the French Ministry for the Economy and Finance, Mr Bruno Le Maire. The two-day event will feature thematic panel discussion and one-on-one metings intented for European HealthTech companies, worldwide investors and pharmaceutical companies. This event is organized for private and listed European companies willing to address leading investors and looking to raise funds. If your project meets our requirements, please complete our dedicated application form to submit an expression of interest. Networking events with special guests on Monday and Tuesday evening. You want to join us on June 24th & 25th but you are not a healthtech company?